Shop for long earrings at handcrafts.co. Free Shipping on orders over $50. Enter SHIP50 at checkout. 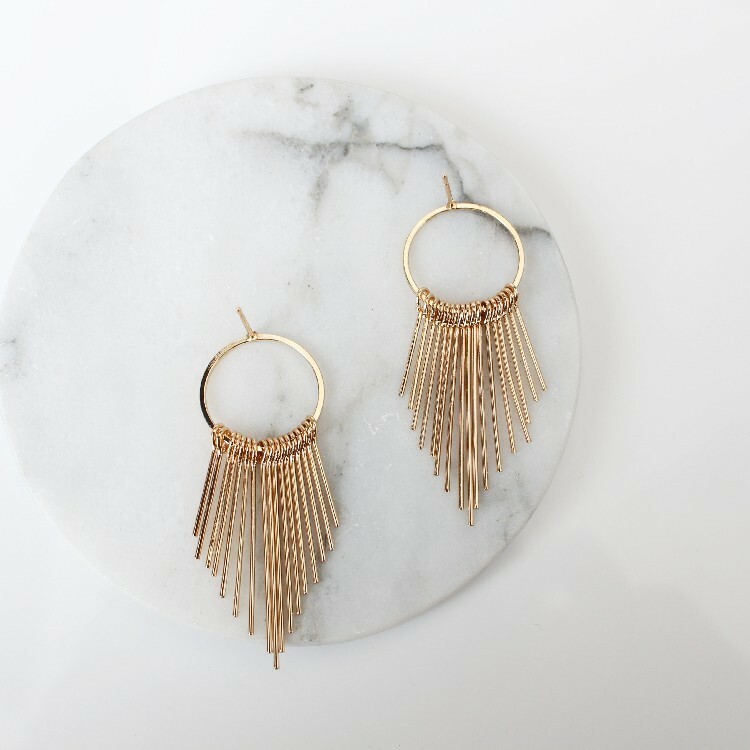 Treat yourself to a pair of radiant women's Mosby Earrings. They're the perfect way to bring attention to your face and put a sparkle into your eyes. Fish hook backs add a casual finishing touch to the design. This piece of jewelry is handmade, sporting quality craftsmanship that will last for years to come. 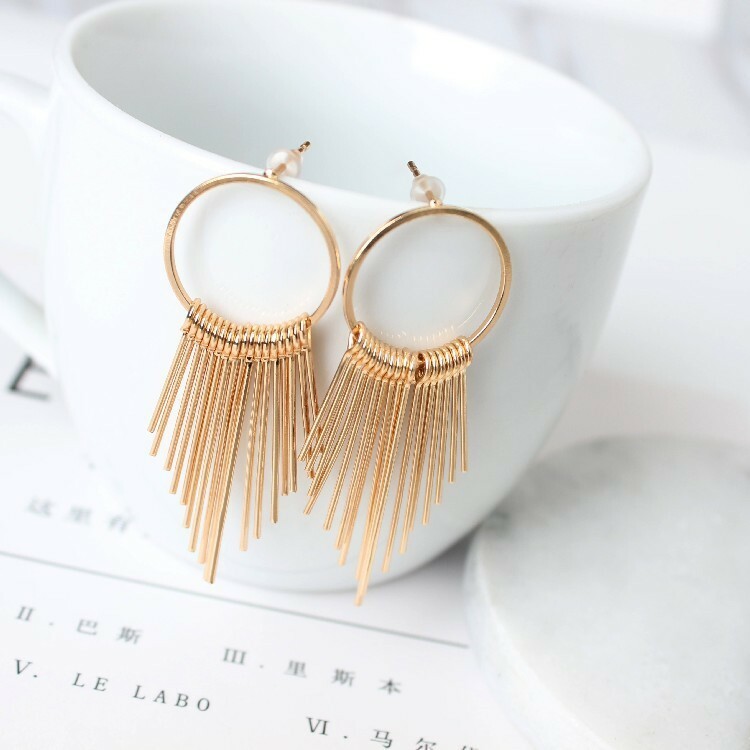 Dangle earrings sway slightly as you move, adding an elegant finishing touch to your look. 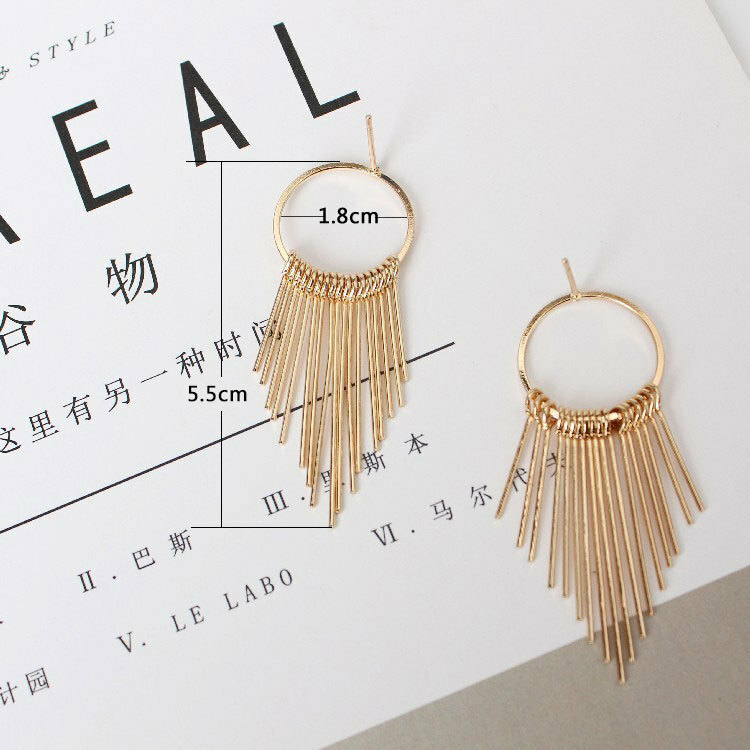 Materials: gold plated or silver plated; ear hooks are 14k gold filled. Simple and sophisticated, these women's colorful earrings make a wonderful everyday pair for both work and play. Fish hook backs add a casual finishing touch to the look. This handmade piece adds a unique element to your jewelry collection. Swaying while you walk, dangle earrings bring timeless brilliance to your outfit. Get a perfectly coordinated look at work or out on the town when you add a pair of matching women's long dangle earrings. No fiddling with latches required. These earrings feature simple fish hooks back that slide on easily. Add an original finishing touch to your outfit with this unique handmade accessory. 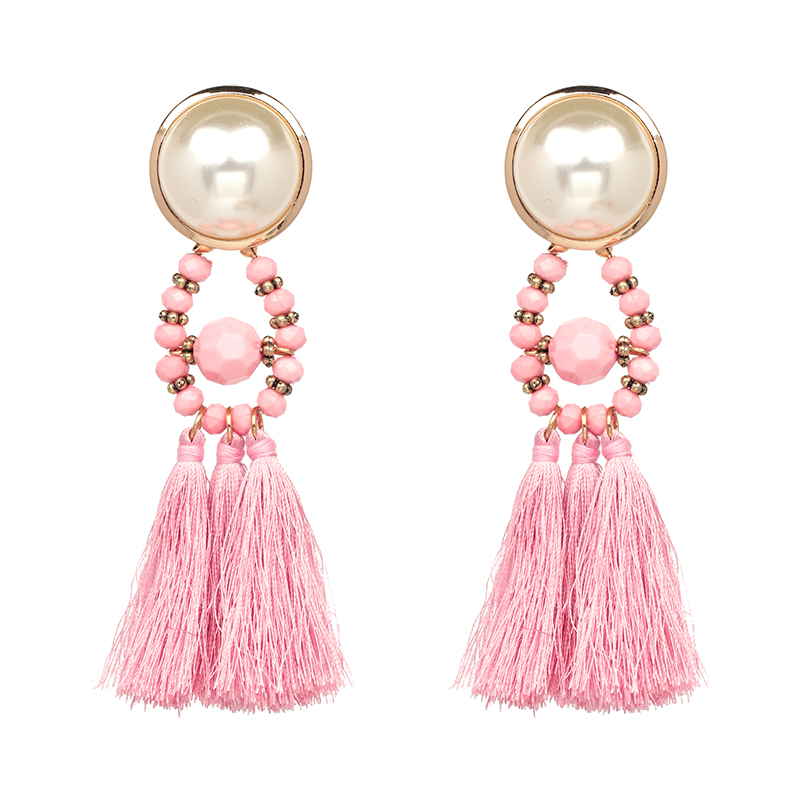 Swaying while you walk, dangle earrings bring timeless brilliance to your outfit. 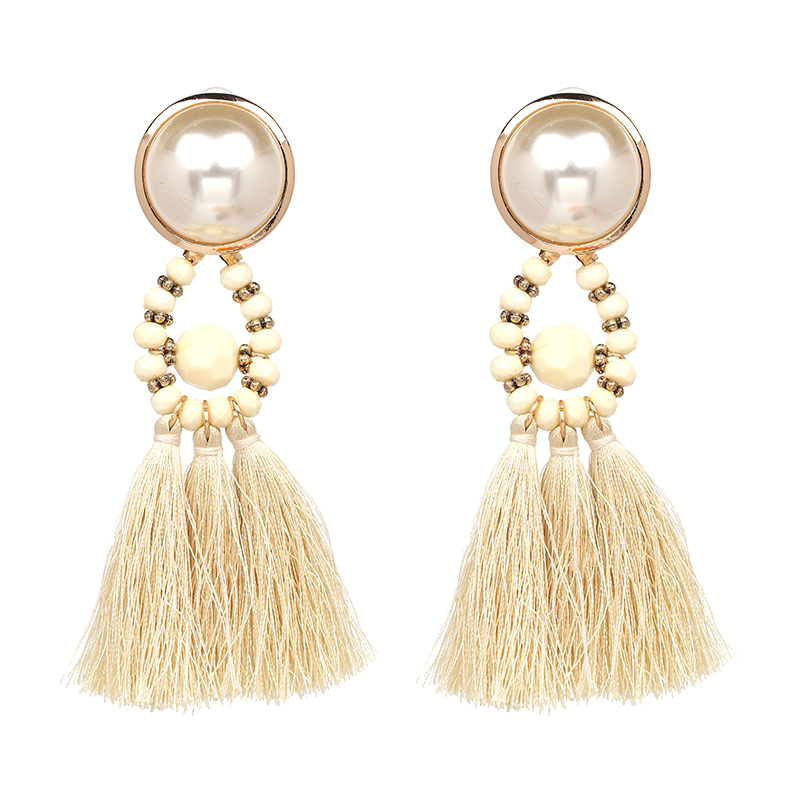 Simple and sophisticated, these women's long tassel pom pom earrings make a wonderful everyday pair for both work and play. Fish hook backs add a casual finishing touch to the look. This handmade piece adds a unique element to your jewelry collection. 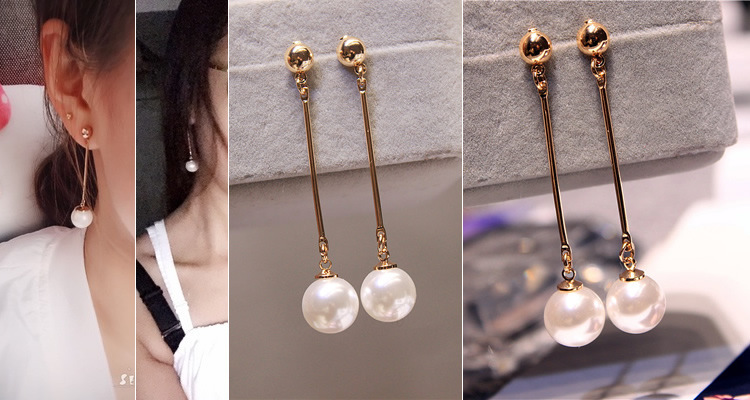 Swaying while you walk, dangle earrings bring timeless brilliance to your outfit. Get a perfectly coordinated look at work or out on the town when you add a pair of matching women's long drop earrings. No fiddling with latches required. 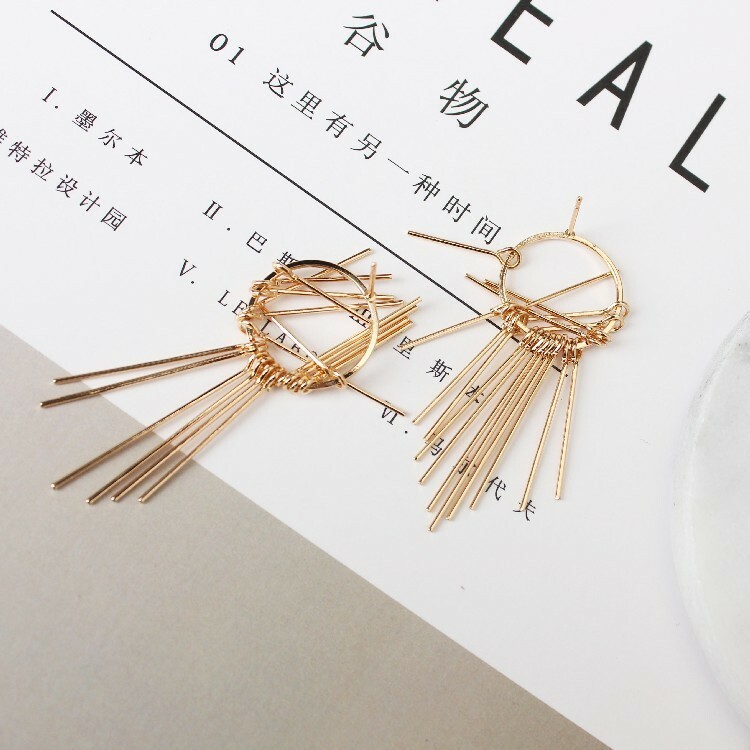 These earrings feature simple hooks back that slide on easily. Add an original finishing touch to your outfit with this unique handmade accessory. 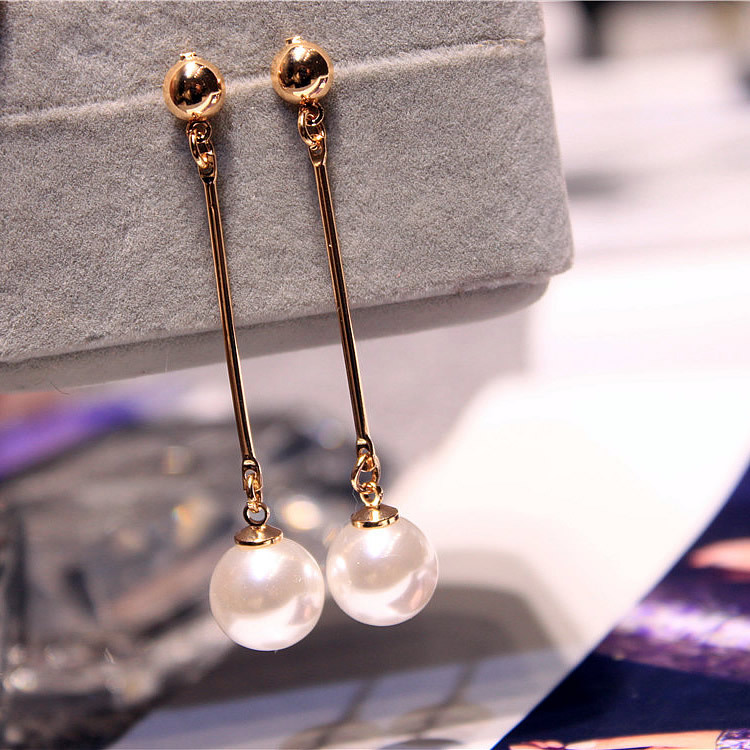 Swaying while you walk, dangle earrings bring timeless brilliance to your outfit. 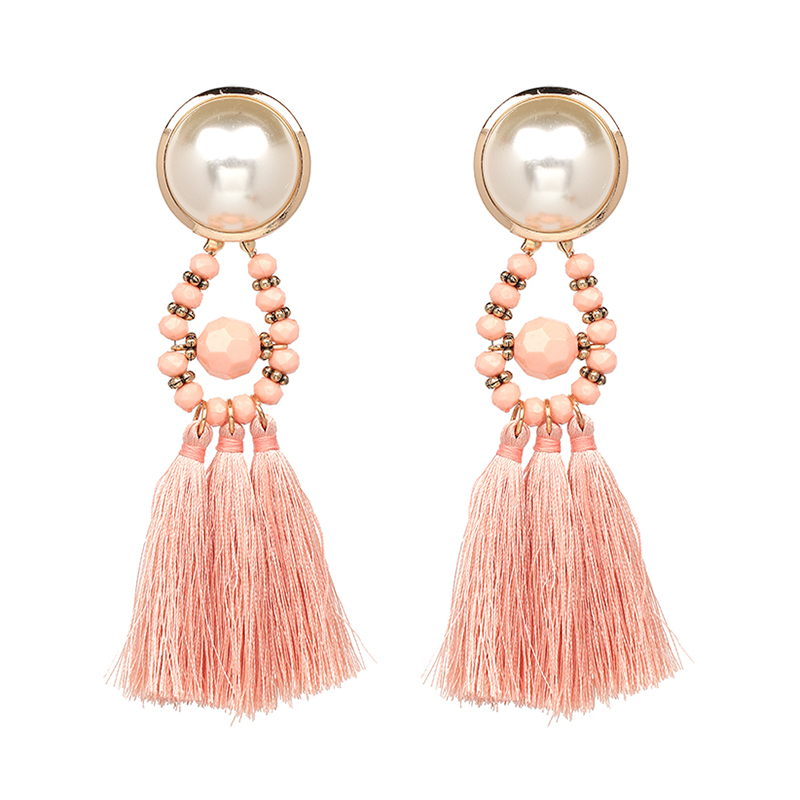 Complete your outfit each day of the work week with a pair of Tassel Long Drop Earrings . The earrings are finished with elegantly unique style. The beautiful handmade design makes this a one-of-a kind accessory. 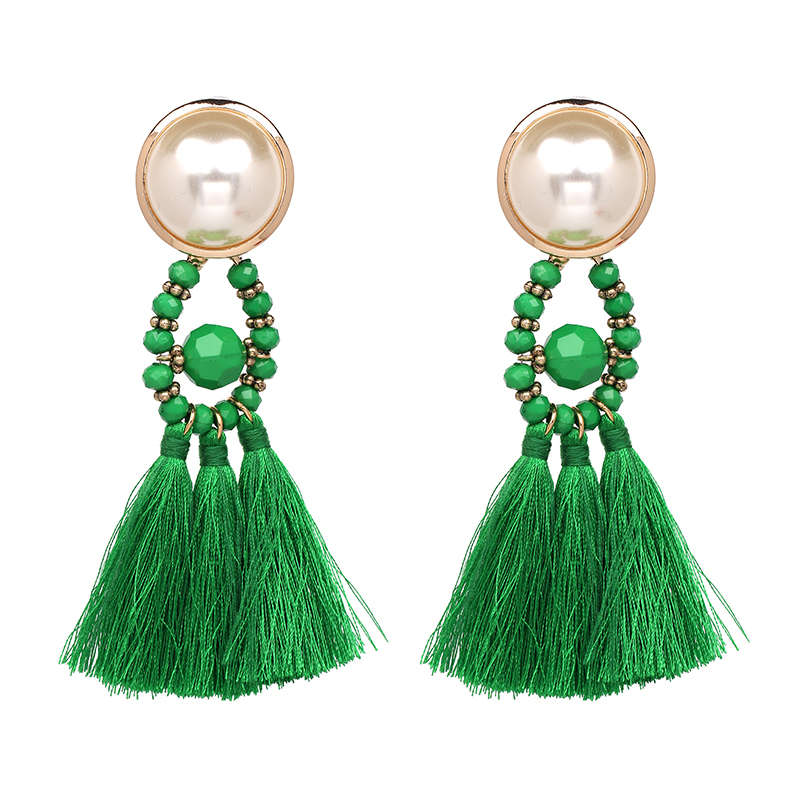 As their name suggests, these elegant earrings dangle just below the earlobe. 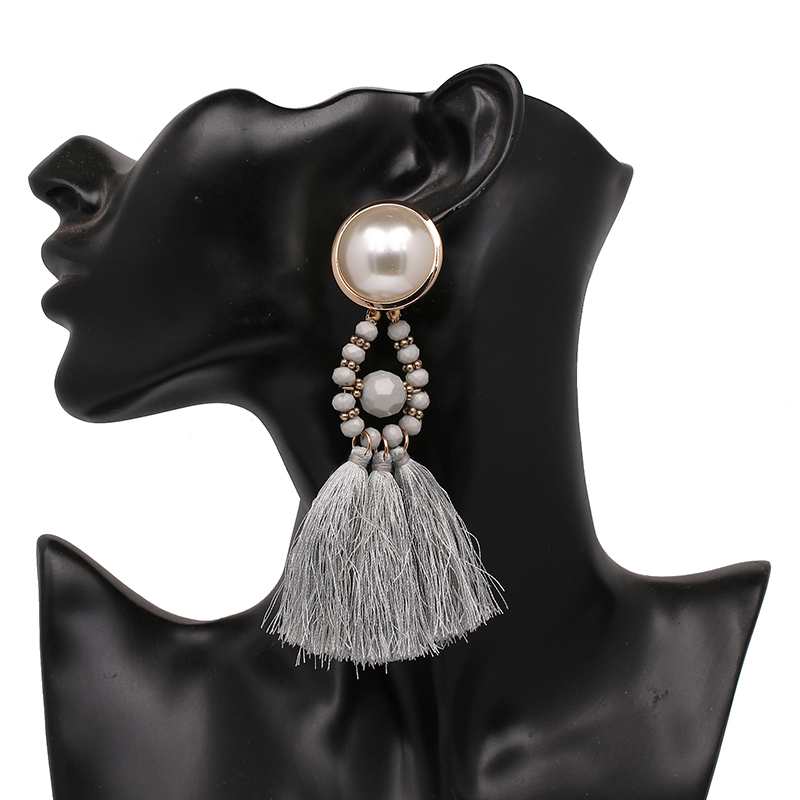 Glam up your outfit for a night out on the town with a pair of stylish women's Pearl Tassel Earrings. Every girl needs a few good pearl pieces in her jewelry box. They give this piece a warm, sophisticated style perfect for formal occasions. The handmade quality of these earrings creates a unique finish you'll love. Swaying while you walk, dangle earrings bring timeless brilliance to your outfit. Elegant and eye-catching, these stunning Long Tassel Feather Earrings for women are an effortless complement for a wide variety of colors. Perfect for everyday earrings, the secure backs keep this pair from slipping off when you're on the move. This handmade piece is unique, creative and constructed from quality materials. Swaying while you walk, dangle earrings bring timeless brilliance to your outfit. Cool and casual, these simple Plush Ball Drop Earrings pair beautiful with everything from jeans and T-shirt to summer dresses. 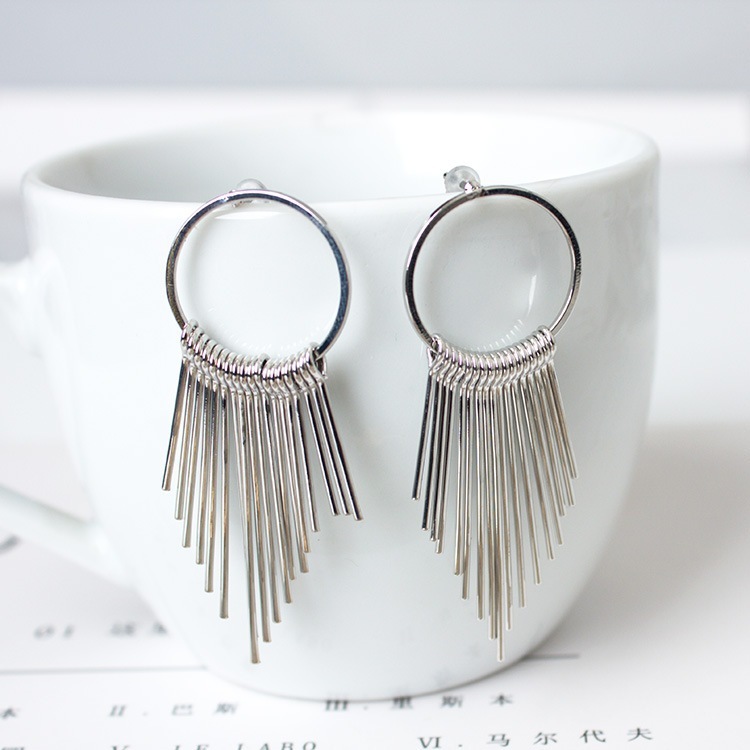 The earrings feature super easy remove screw backs. The handmade quality of this piece creates a unique finish you'll love. Swaying while you walk, dangle earrings bring timeless brilliance to your outfit. 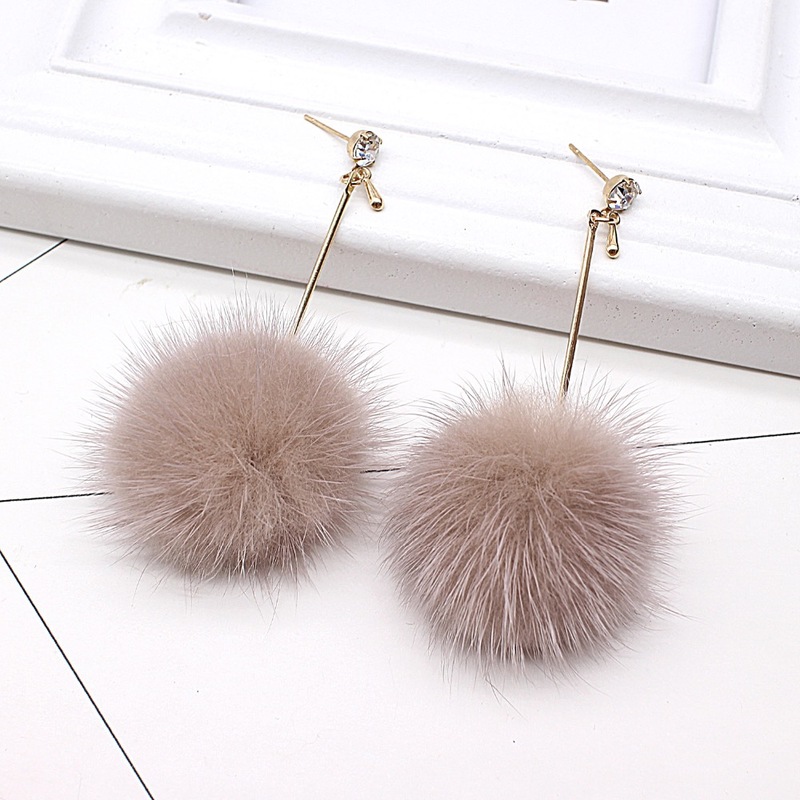 Glam up your outfit for a night out on the town with a pair of stylish women's Fur Ball Pom Pom Long Drop Earrings. The secure backs add a casual finishing touch to the look. The handmade quality of this piece creates a unique finish you'll love. The lightweight crystal bead design is comfortable to wear daily. 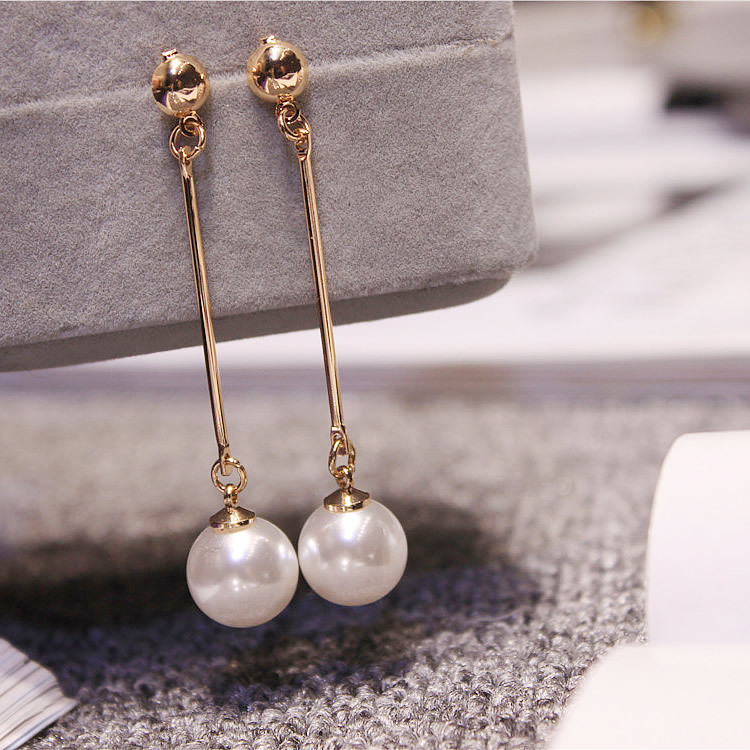 Swaying while you walk, dangle earrings bring timeless brilliance to your outfit. 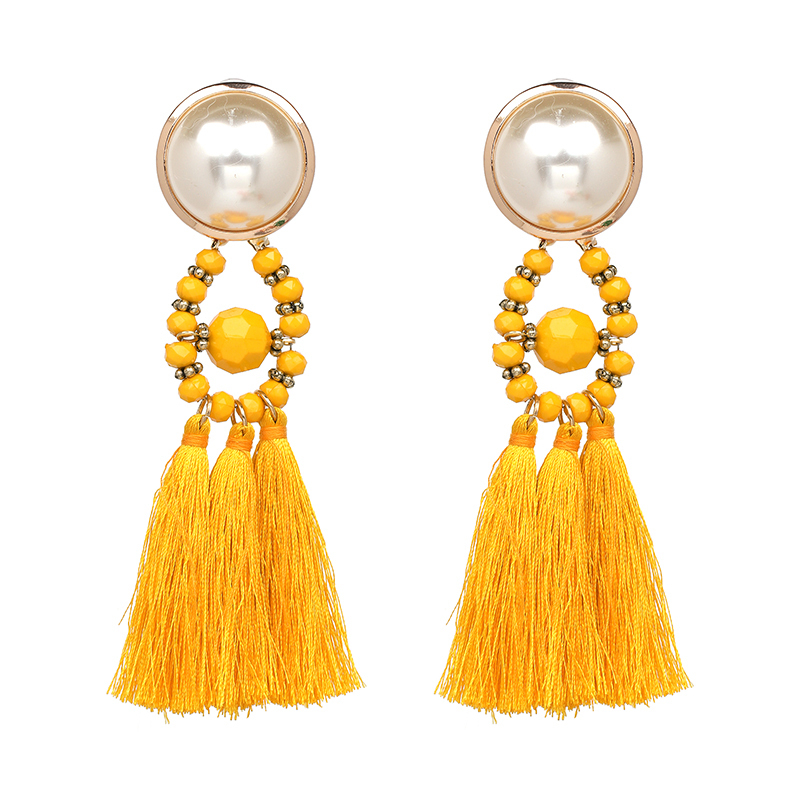 Treat yourself to a pair of radiant women's Long Tassel Drop Earrings . They're the perfect way to bring attention to your face and put a sparkle into your eyes. 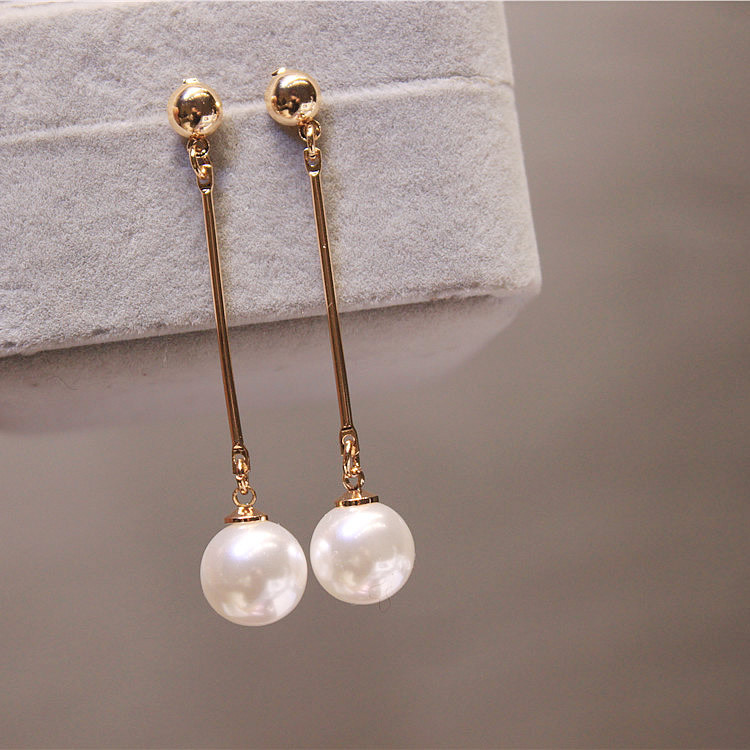 Perfect for everyday earrings, hook backs keep this pair from slipping off when you're on the move. The handmade quality of this piece sets it apart from other jewelry. Featuring antimicrobial properties, copper provides a warm shine and takes on a unique patina over time. This beautiful piece of jewelry is sure to put a smile on everyone's face. 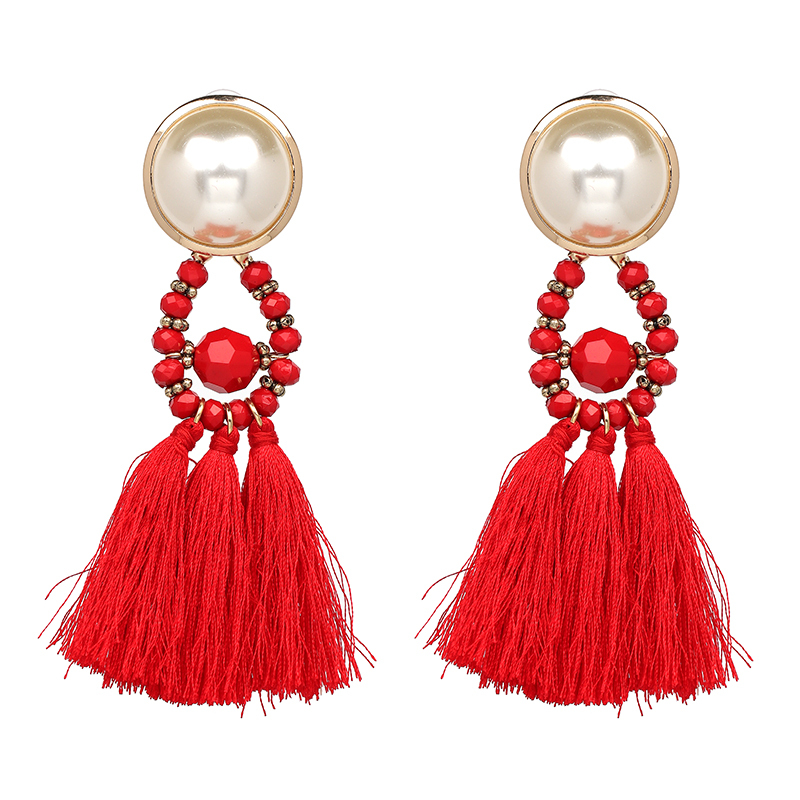 Give your wardrobe a touch of glamour with these beautiful Gem Long Drop Tassel Earrings. Brilliant and timeless, they'll be a hit at every event. 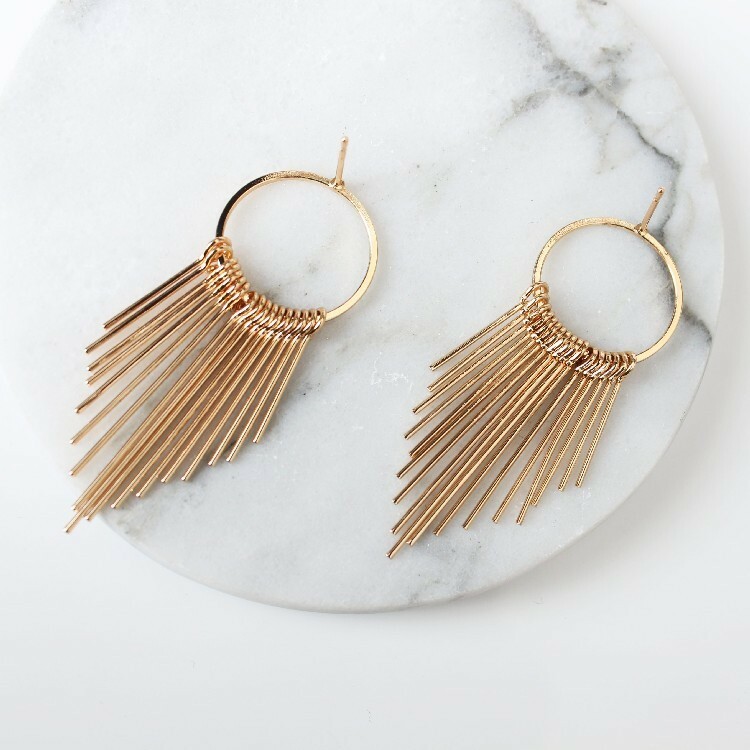 The secure backs ensure that your favorite earrings won't slip off when you're out on the town. This handmade piece adds a unique element to your jewelry collection. Light and durable, the material construction makes this piece one you can rely on for years to come.